Many infections of the teeth, gums, and mouth can be painless in their early stages of development. Without routine visits to the dentist, many people affected by these infections can be completely unaware that they may be developing potentially devastating diseases like gingivitis and periodontal disease. In the later stages, these diseases can not only cause tooth loss but can move on to affect other parts of the body. Los Angeles dentist Dr. Marvizi says there are numerous studies which show that serious diseases such as heart disease, diabetes, and colon cancer, can begin with bacteria in the mouth. For these reasons, it is so important to maintain good daily dental hygiene practices at home, and to have routine dental visits at least twice a year so as to prevent or stop the progression of oral infection before it’s too late. If you think you might have an oral infection, Los Angeles dentists Dr. Rayhan & Dr. Marvizi are here to help you create a customized treatment plan that will significantly improve the health of your teeth and gums. If you need a teeth cleaning and exam, or would like to learn more about how to implement good dental hygiene practices to maintain your optimal oral health, please call our Los Angeles dental office today at 323.931.3881 or send an email to RayhanMarvizi@yahoo.com. 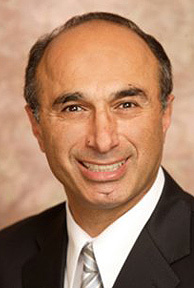 Los Angeles dentist Dr. Joseph Marvizi, DDS is passionate about helping his patients achieve optimal oral health, which in turn, supports their overall health and well-being. If you have any questions about the dentistry services and procedures I and my staff provide here at our dental office in Los Angeles, please give us a call at 323.931.3881 or send an email to RayhanMarvizi@yahoo.com and we would be glad to answer any questions you might have.